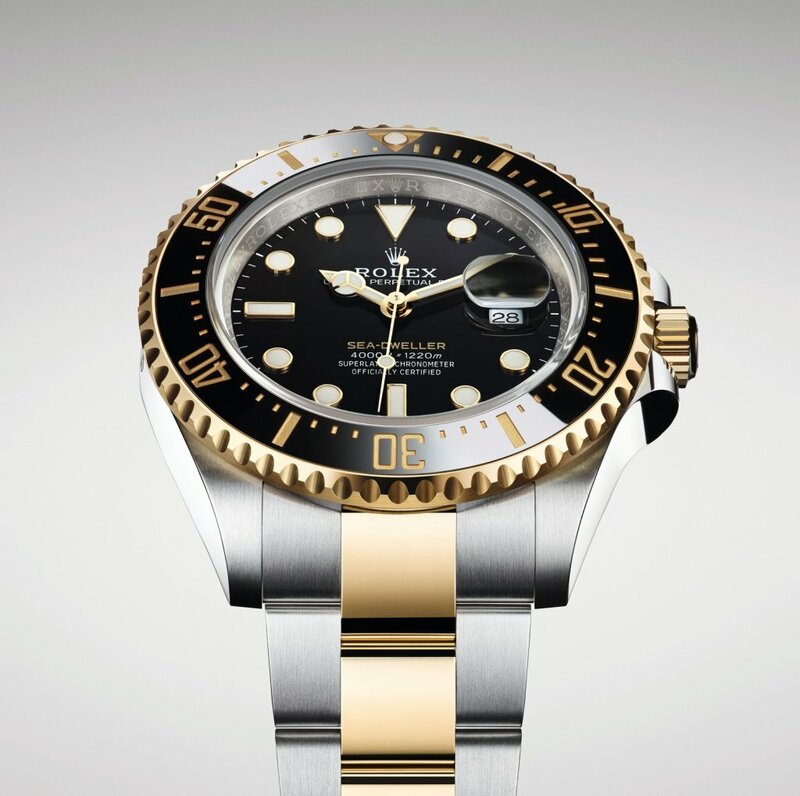 Rolex is introducing an Oyster Perpetual Sea‑Dweller in a yellow Rolesor version, combining Oystersteel and 18 ct yellow gold. 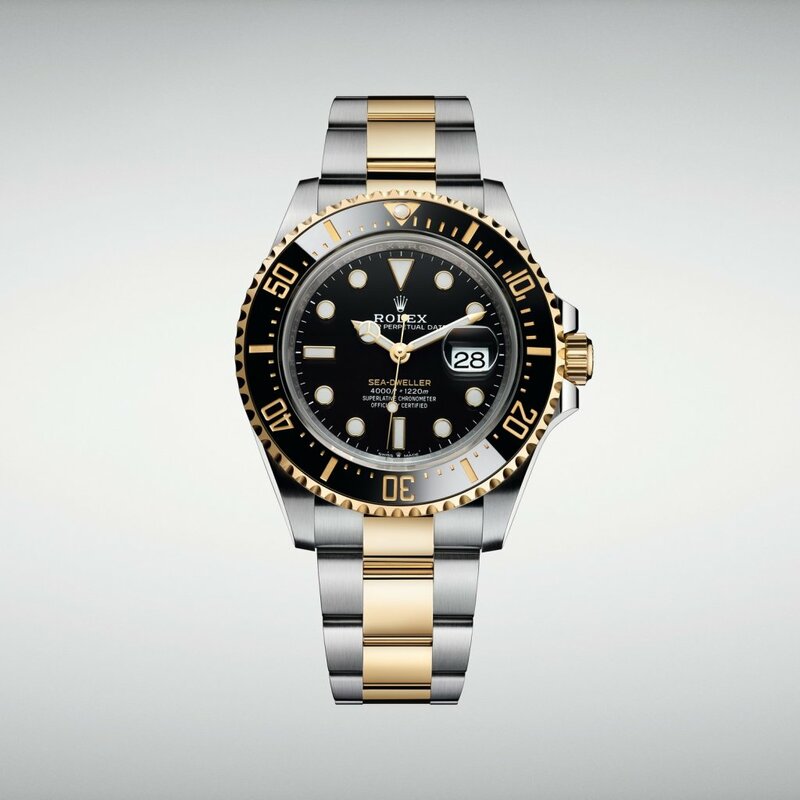 This new watch brings 18 ct yellow gold to the Sea‑Dweller range for the first time. 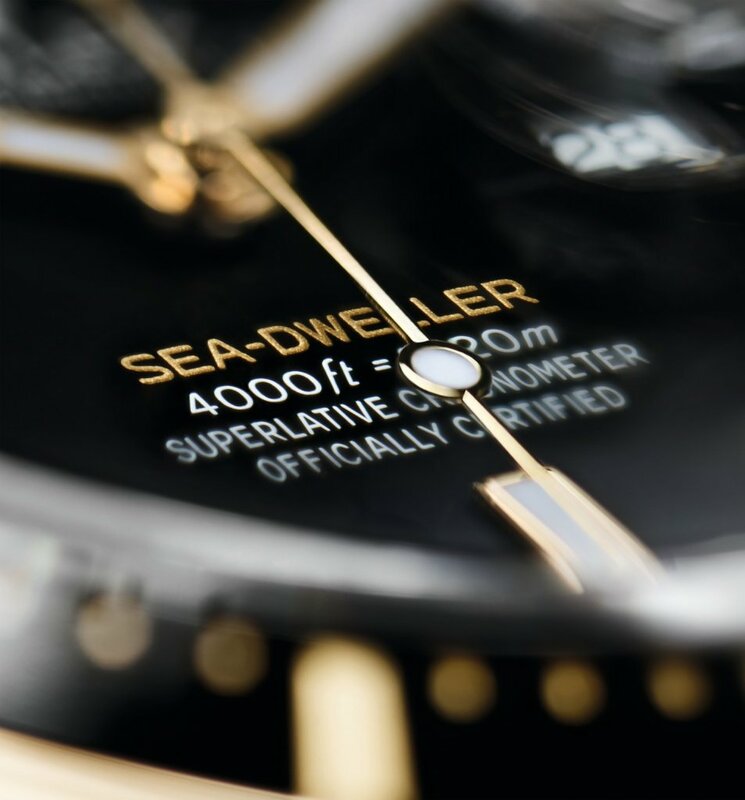 The Sea-Dweller was designed in collaboration with the pioneers of professional deep-sea diving, who spent extended periods underwater. 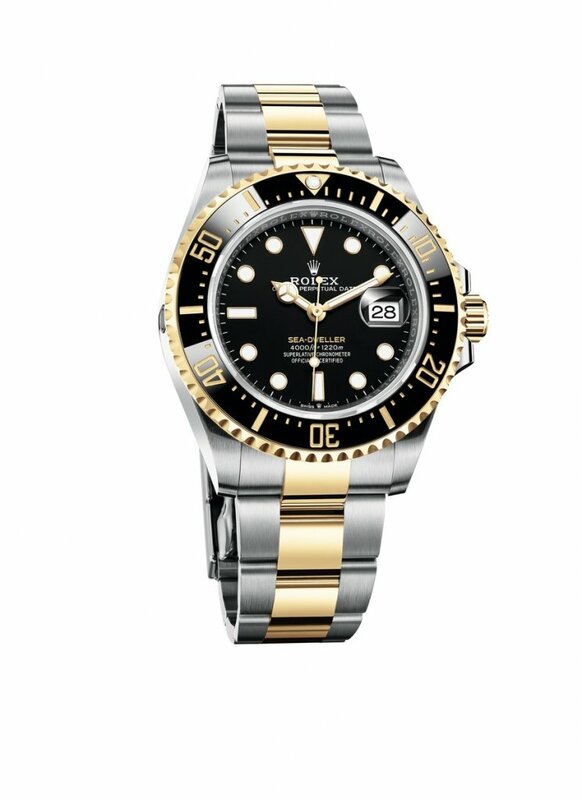 This ultra-resistant tool watch accompanied the first experimental underwater habitat programmes. 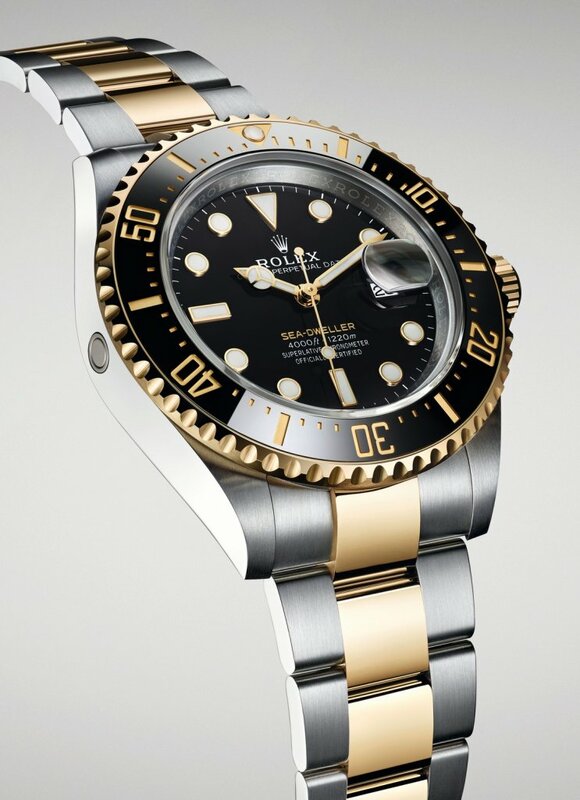 It played a vital role in conquering the ocean depths thanks to its Oyster case, initially waterproof to a depth of 610 meters (2,000 feet), then, from 1978, to 1,220 meters (4,000 feet), thanks to an important innovation patented by Rolex: the helium escape valve, fitted into the side of the watch case. 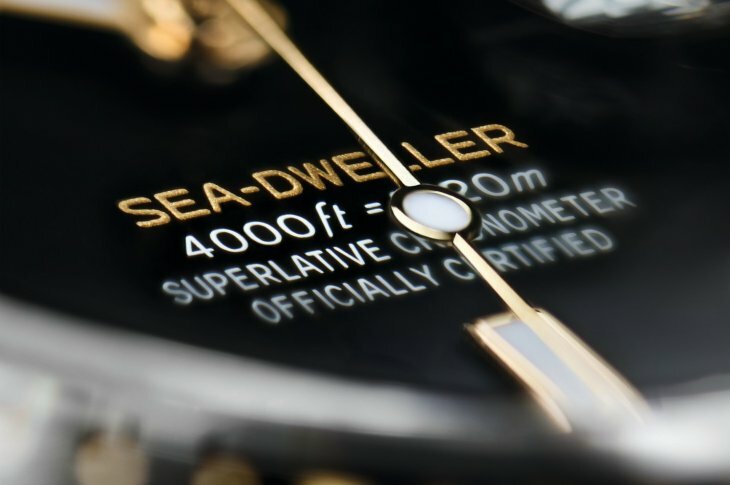 A paragon of robustness and reliability, the Oyster case of the Sea-Dweller is guaranteed waterproof to a depth of 1,220 metres (4,000 feet). Its middle case is crafted from a solid block of particularly corrosion-resistant Oystersteel. The case back, edged with fine fluting, is hermetically screwed down with a special tool that allows only Rolex watchmakers to access the movement. The winding crown, fitted with the Triplock triple waterproofness system, screws down securely against the case and is protected by an integral crown guard. The crystal is made of virtually scratchproof sapphire and is fitted with a Cyclops lens at 3 o’clock for easy reading of the date. The waterproof Oyster case provides optimum protection for the Sea-Dweller’s high-precision movement. 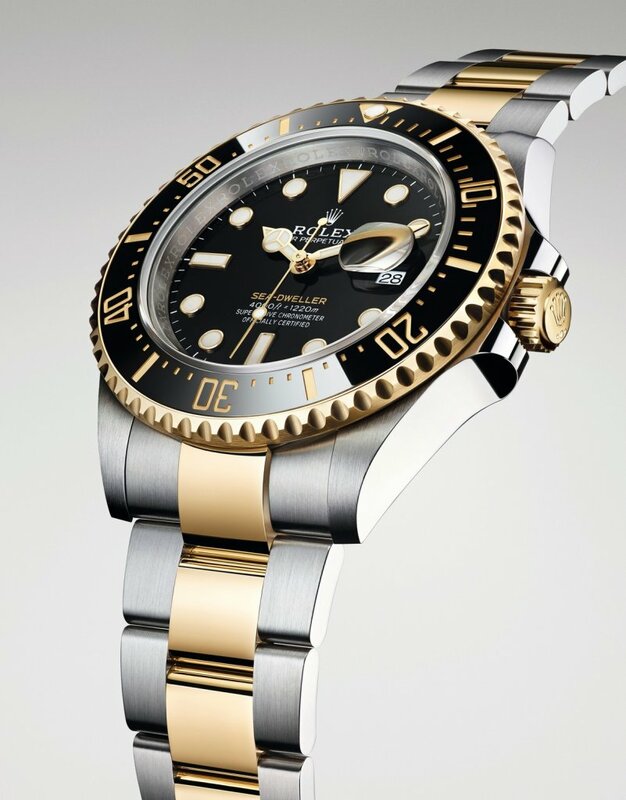 The new version of the Sea-Dweller is equipped with calibre 3235, a new-generation movement entirely developed and manufactured by Rolex. A consummate demonstration of technology, at the forefront of the art of watchmaking, this self-winding mechanical movement led to the filing of several patents and offers fundamental gains in terms of precision, power reserve, resistance to shocks and magnetic fields, convenience and reliabity. Calibre 3235 incorporates the Chronergy escapement patented by Rolex, which combines high energy efficiency with great dependability. Made of nickel-phosphorus, it is also insensitive to magnetic interference. The movement is fitted with an optimized blue Parachrom hairspring, manufactured by Rolex in an exclusive paramagnetic alloy that makes it up to 10 times more precise than a traditional hairspring in case of shocks. The blue Parachrom hairspring is equipped with a Rolex overcoil, ensuring its regularity in any position. The oscillator is fitted on the Rolex-designed and -patented high-performance Paraflex shock absorbers, increasing the movement’s shock resistance. 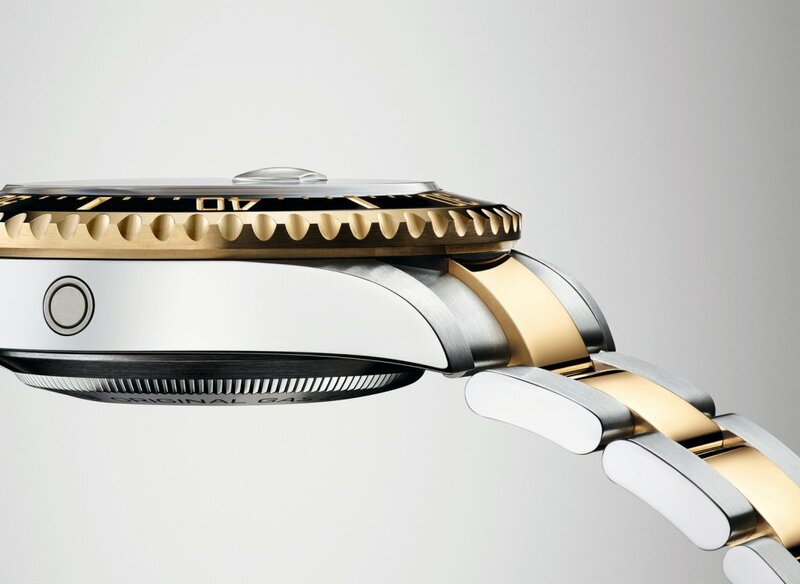 Calibre 3235 is equipped with a self-winding module via a Perpetual rotor. Thanks to its barrel architecture and the escapement’s superior efficiency, the power reserve of calibre 3235 extends to approximately 70 hours.